Dave Frankel takes his camera underwater in search of unique images of the surf. 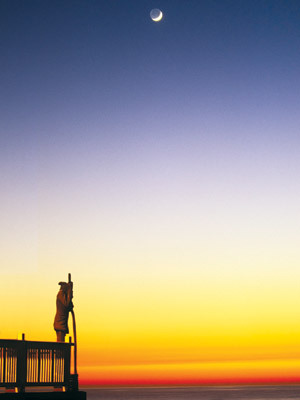 Dave Frankel is a native La Jollan who has surfed the waters of the Pacific Ocean since he was five years old. He got his start as a photographer unexpectedly when he was a teenager in the seventies. Frankel was with a group of friends who went to Trestles, a group of surfing spots at San Onofre State Beach. Not everyone’s surfboard could fit in one car, so Frankel brought his camera instead. Since then, the self-taught photographer has captured the spirit and enormity of powerful waves around the world — from Baja California to Indonesia. But most of his striking photos were taken here in his hometown of La Jolla. His favorite spots to capture spectacular images of waves were, and still are, at Black’s Beach, where many photographers from well-known surfing magazines also hung out to take photos. Frankel showed his photos to some of the photographers, who then encouraged Frankel to submit his photos to magazines. The first magazines to publish his photos were Surfer Magazine and The Surfer’s Journal. Since then, Frankel’s images have also graced the pages of Surfing Magazine, Longboard Magazine, Surfer’s Path (Europe), Pacific Longboard (Australia) and Nalu (Japan). 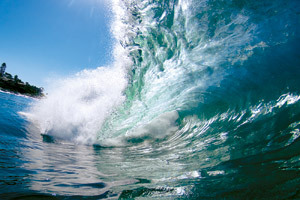 Frankel enjoys taking photos at Black's Beach and the La Jolla's reef breaks due to its dynamic character. "Black's is known as a world-class surf break. 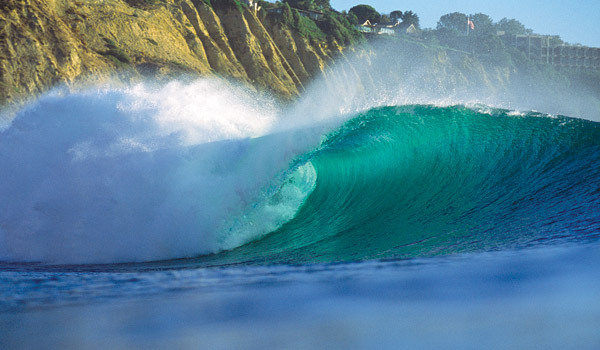 A lot of people come to surf there...There's this tremendous submarine canyon that has a great influence on the waves. On a big swell, they typically come in at a third larger than any of the other beaches around. It also changes angles of the waves. They come in at these crazy angles and it produces amazing surf a few times a year." He also described the varying degrees of difficulty at other parts of San Diego. The waters of Pacific Beach and Mission Beach have gentle sloping symmetry that makes waves not very critical, according to Frankel. On the other hand, the waters at Sunset Cliffs and La Jolla Shores get shallow more abruptly, so the waves are steeper and have more power. He currently uses a Canon EOS 7D for his photography. 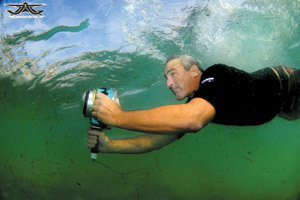 With the popularity of photography, the emergence of various imagery styles and the latest cameras, such as the GoPro camera, finding a unique shot is difficult, according to Frankel. “There’s such an amazing, tidal surge of imagery coming into the publications. It just makes it incredibly competitive. It’s difficult to be creative. People have just thought about everything to get every kind of angle.” . “Close Encounter, Black’s Beach”. The name of this photograph refers to the shark swimming near the surfer! He plans on doing more local events. Last summer, he participated in the La Jolla Art and Wine Festival. Frankel, who grew up with beautiful furniture pieces and an artistic mother, said his designs draw heavily from the sleek Scandinavian and Danish classics and are fused with the materials found in early surfboard designs. But his construction company had to come to an end when the “economy hit the skids.” Now, he is mostly taking care of his two boys and working on his photography. Frankel is in the midst of putting together prints, gallery wraps, coffee mugs and sublimation aluminum sheets with images of his work. A portion of online sales will be donated to WiLDCOAST, an international conservation organization, and art programs at local schools and foundations.